Thirty years ago today the ground-breaking New Zealand Nuclear Free Zone, Disarmament, and Arms Control Act 1987 became law. New Zealand became the first Western-allied country to officially ban nuclear-armed and powered warships from its territory. History curator Stephanie Gibson looks at iconic symbols from the time. It took decades of activism to get to this point. On the way, the anti-nuclear protest movement created many memorable slogans and iconic imagery. The most iconic and enduring of all is the Campaign for Nuclear Disarmament (CND) symbol created by British graphic artist Gerald Holtom in 1958. Badge, 1970s. Maker unknown. Gift of the Estate of Ron and Carmen Smith, 2015. Te Papa. (GH024514) The original version of the CND symbol was black and white, with flared ends to each arm. Over time, the symbol’s arms were straightened. This 1970s version still shows a slight flare. It can also be a cross formed by combining the semaphore signals for the letters N and D (‘nuclear’ and ‘disarmament’). The symbol became an emblem of the counterculture and anti-Vietnam War movement in the 1960s–70s. It gained currency internationally and has been used ever since to express the desire and determination for universal peace. 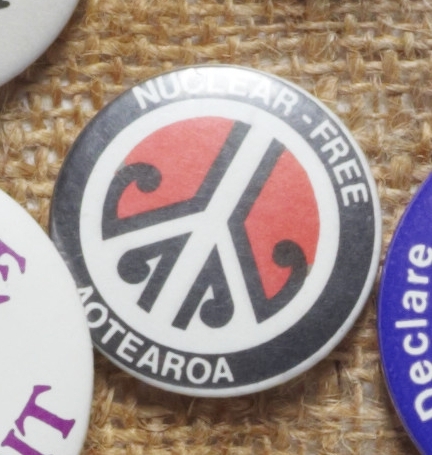 Te Papa’s collections hold several localised versions of the CND symbol created in the 1980s, including those by Larry Ross, founder of the New Zealand Nuclear Free Zone Committee. 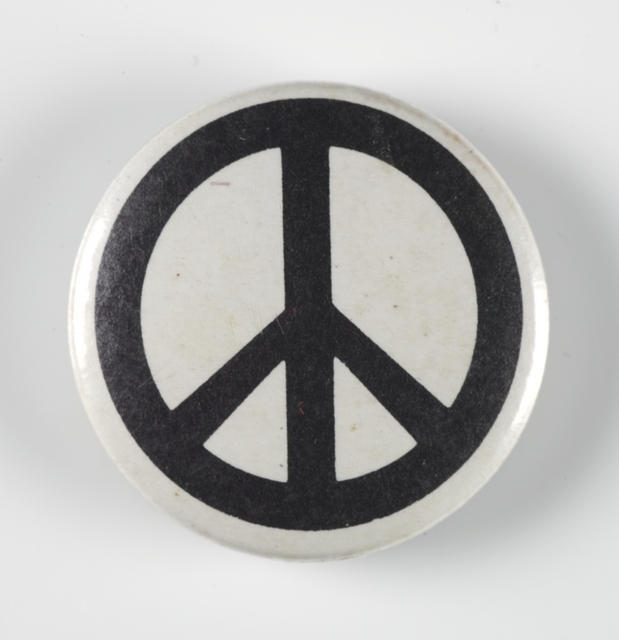 Round and graphically strong, the CND symbol was perfectly suited for ‘lollipop’ placards and badges. 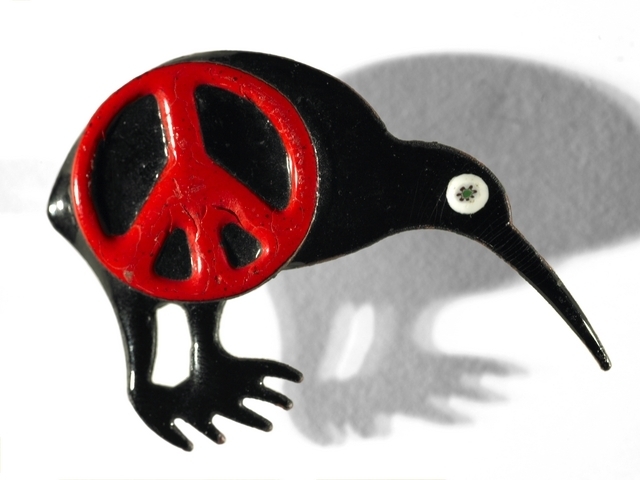 Ross recalled that when he was designing his version it was hard to position the CND symbol so that it didn’t obscure the map of New Zealand. In this iconic design, Gavin Patterson reinterpreted the CND symbol with miha (shoots of bracken fern), symbolising hope and growth. Detail of Display of Badges, 1985. Te Papa (GH020698). Fascinated to learn of the Goya painting being an inspiration for the CND symbol…thanks!